In Isis Magic, one of the key elemental implements of the priestess of Isis is the sistrum. It is one of several types of ancient Egyptian rattles that were used in the worship of the Goddesses and Gods. But it isn’t simply a musical instrument; it is also a magical instrument. As you may already suspect, sistrum is a Latin word. In turn, it derives from a Greek term for the Egyptian rattle: seistron “that which is shaken.” The Egyptian terms are a bit more interesting. One of them is onomatopoeic, that is, the word sounds like the thing it represents. That one is sesheshet (say it out loud and you’ll see what I mean). The other is sekhem. And that one is quite interesting, for it means “power,” as in the name of the Goddess Sekhmet, the Powerful One. It is, of course, among the names of Isis as well. The sistrum is an instrument of power. 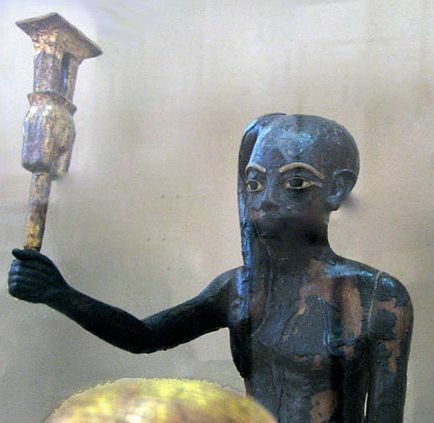 Even better, the term for “to play the sistrum” also derives from the sekhem root, so when you’re playing the sistrum, you’re “doing power.” That’s why the sistrum is the elemental Fire implement of the priestess or priest in the House of Isis. The vibration of the rattling sistrum is as the constant vibration of the atoms that make up all things and the activity of all living things. Like many modern priestesses and priests of Isis, I have a collection of sistra (which is the plural of sistrum), including both handmade and purchased versions. Since the Coptic and Ethiopian Christian churches today still use sistra, you can actually purchase sistra that flow from the ancient Egyptian religious tradition. Naturally, I wanted to add one to my collection. So I ordered an inexpensive one online and when it came, it was, as expected, not super-high quality, but kinda sweet…except for the fact that the handle appeared to have been made out of ammunition casing. Eeewww. But the rattle sounded wonderful, nice and tinkly. I purified the sistrum and began using it. Now here’s the part I like. Not too long after that—with no hard use of any kind—I picked up the sistrum one day to discover that the bullet-casing handle had split near where it was joined to the head of the sistrum. While I was disappointed that my new sistrum had broken, I was also somewhat relieved. Happily, I know artists—and an artist friend replaced the handle for me with copper tubing. My repristinated copper and brass Coptic sistrum has been rattling up power for Isis ever since. 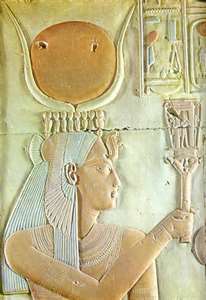 In ancient Egypt, while the sistrum was used in the musical worship of all Egyptian Deities, it was especially associated with the worship of the Great Goddesses Hathor, Bast, and Isis. Generally, more priestesses than priests played the sistrum. 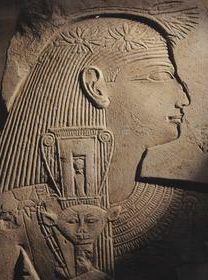 Yet the archetypal sistrum player is Hathor’s son, Ihy, often called simply the Sistrum Player. If we think of it as a polite knock on the door before coming into the presence of the Goddess, we can consider the rattling of the sistrum as an Opening of the Ways from the mundane to the sacred. It can also be used to stir up energy, in ourselves or our temple space, as well as to add emphasis and power to certain parts of a ritual. Softer rattling can be used meditatively and to bring down and sustain energy as the ancients did when they used it to “pacify” an angry Deity. If you’d like to Do Power for Isis, you may purchase a variety of ready made sistra. DeTraci Regula’s Isiscraft Catalog offers a number of lovely ones. You can find versions of sistra in music stores that specialize in ethic instruments. You can also order the Coptic ones online (but they will probably come with the bullet-casing handles). And, of course, you can also make your own. bamboo as a wedge to hold the two sides apart, forming a “Y.” Finally, she strung flattened and pierced bottle caps on wire and attached the wire to both sides of the split bamboo. While I have sistra in my collection on which I’ve spent quite a bit of money, these homemade ones remain some of my favorites. If you have made your own sistrum, I’d love to hear about it. 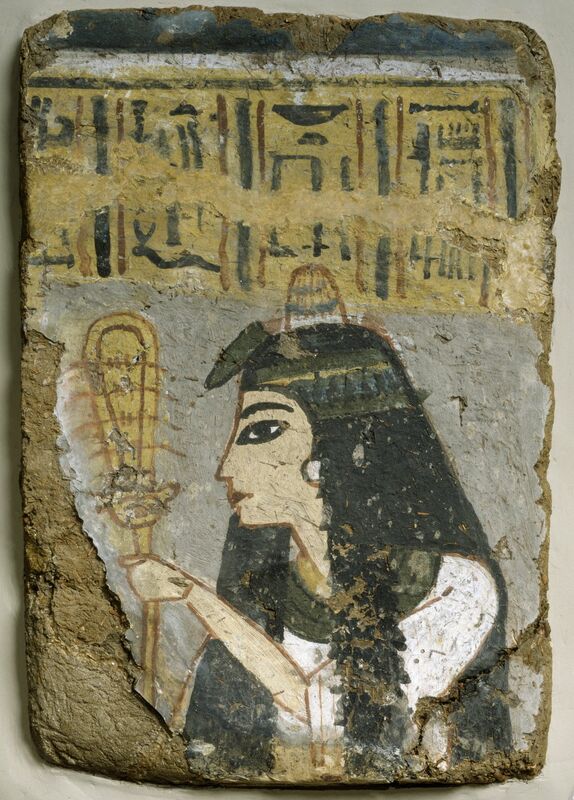 Egyptian magicGoddess worshipIsisIsis MagicIsis worship todaySistrumSistrum & IsisThe GoddessWho is Isis? I like giving out candy becsuae I remember how much I liked getting candy on Halloween, but I don’t like having to open the door constantly, and having to think of variations of how cute what are you what do you want , so I just throw the candy in a bowl outside the door and let them take whatever they want. And since it was raining and cold last night I still have some candy left over. Looks like the starving wolves aka grad students at work are getting candy today. I found a clay hoop sistrum in a tourist shop opposite the Palace of Knossos on the island of Crete and was so enchanted with it that I had to buy it. It’s the only sistrum I have, and I’ve never seen one like it. The body of the sistrum is clay and the beads on the metal wires are clay. It makes a lovely sound. I became interested in the sistrum in association with a bellydance group with which I am associated as an informal drummer and music researcher. Since then I have made several examples of sistra for them to use. Thank you for the additional information. One question I have: of the examples available, some are simple wires on a hoop and some have additional bits of metal strung on the wires. Which is the older pattern? Hi, Joel! The older one has just the rods. 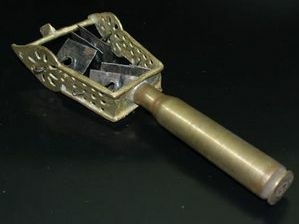 The rods passed through somewhat larger holes in the metal and it was the rattling of the rods in the holes that caused the sound when the sistrum was shaken. Great questions! I found a sistrum in a thrift store in Kannapolis North Carolina that was like the bamboo one pictured but it had a rattle at both ends. I would love to know how it got there! Thank you for the very informative article. Ha! Would love to see a pic! I am currently building hand crafted sistrums utilizing copper and Crystal’s. Thanks for this informative article!